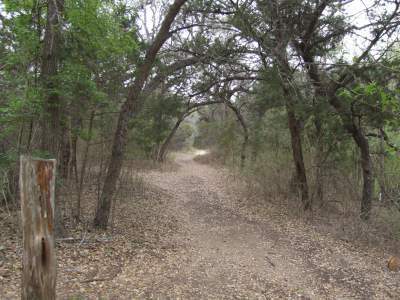 The center's Woodland Trail winds along the bluff overlooking Cibolo Creek and serves as the transitional zone between the riparian forest (dominated by cypress trees at the water's edge) and the live oak savannah. Oak and juniper create a dense cover of shade while the American beauty berry, elbowbush and Mexican buckeye provide understory. The woodland provides habitat for deer, rabbits, armadillo and birds. Where the canopy opens, native grasses spread in lush meadows among the trees, providing grazing for deer and other animals. The woodland is left in its natural state with the exception of removing dead branches and trees that could be hazardous to visitors. 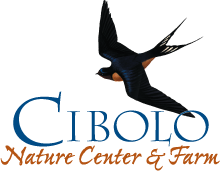 A construction project through the woodland removed a wide swath of trees and is being restored with a variety of prairie plants, including sideoats grama, indian grass, indian blanket and Texas bluebonnet.